Vicente Ramón Guerrero Saldaña was the 2nd President of Mexico. He was of sbscure origins and racially mixed background. He was a hero because of the Mexican fight for independence from Spain. He was born on Aug.10,1783 in a village of Tixtla. His parents were humble peasants, and under the caste system the mestizo. Guerro didn't receive formal education so he was forced to earn a living by working as a muleteer. When the revolutionary movement broke out in 1810, Guerrero joined it. He soon achieved the rank of captain. However, because of the leadership that Father Morelos, Guerro proved his military qualities. Guerro started to build his army, he has several successful attacks against the Spanish forces. 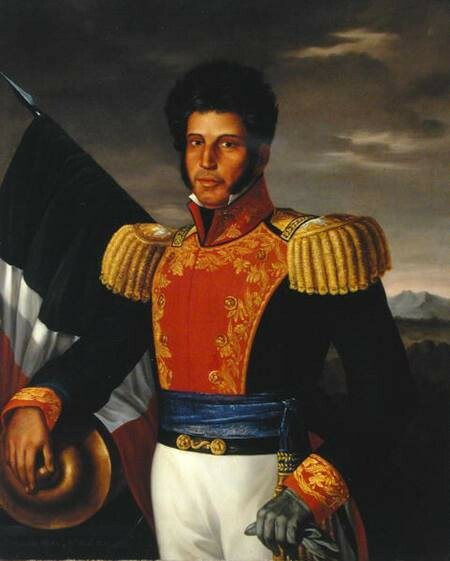 On April 1, 1829, Guerrero assumed the presidency. He soon found out that to govern was more difficult than to fight. He was generous with his opponents. But at a time when Mexico needed strong leadership, he was vacillating and timid. Guerrero won victories at Ajuchitán, Santa Fe, Tetela del Río, Huetamo, Tlalchapa and Cuautlotitlán, all communities in that southern region he knew so well. He was a hero because of the Mexican fight for independence from Spain. By 1815, however, the revolutionary tide had begun to turn. Morelos was captured and executed by the Spaniards. Other insurgent leaders were also captured, scattered, or pardoned. Guerrero's army in the south suffered the brunt of the Spanish onslaught. Yet he managed to continue the fight. 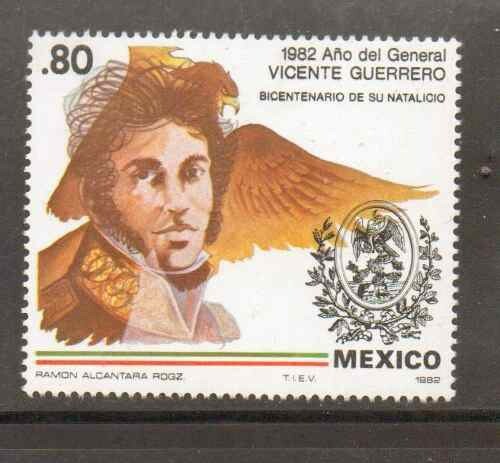 In 1818, the Spanish viceroy even used Guerrero's elderly father to try to make Guerrero surrender. Guerrero refused and he gathered his soldiers, he said, "I have always respected my father," he said, "but my country comes first." Guerrero strongly believed in what he was fighting for. He supported that only Catholicism should be allowed in Mexico. Overall, his greatest contribution, was in his determination to evacuate the Spaniards from his homeland. More than any other revolutionary leader, he kept alive the independence cause at a very difficult time. Guerrero joined the rebellion in November 1810 and enlisted in a division that independence leader José Maria Morelos had organized to fight in the south. Guerrero distinguished himself in the battle of Izúcar, in February 1812. In late 1815, following the capture and execution of Morelos, Guerrero was the only major rebel leader still at large. In 1819, a bit of personal drama took place. Apodaca, the Spanish viceroy, had persuaded Guerrero's aged father to try and talk his son into surrender. Guerrero and Nicolás Bravo, another independence leader, joined Santa Anna and forces led by Guerrero and Bravo defeated Iturbide's troops at Almalonga on January 23, 1823. n July 1829 the ambitious Santa Anna defeated an attempted Spanish invasion of Mexico, thus becoming a national hero. Guerrero was captured and taken to the city of Oaxaca. There, after a farcical court-martial, he was executed on February 14, 1831. Vicente Ramón Guerrero Saldaña was the second president of Mexico and the first to come from "las clases populares." Guerrero wanted to be well known later on in life. He wanted to do something important and prove that peasant or working class group can also be important.